If you have these three things, chances are all of the details will work themselves out and you will have a wonderful retirement. Sure there will be challenges along the way, family issues to deal with and surprises that you could not predict. However if you have dealt with the retirement planning issues of money, health and interests, you should be able to weather these small storms. Let’s take a look at these three areas in more detail. The answer for everyone is of course different. You need to have sufficient funds in your retirement to meet you basic needs for a safe and healthy life. 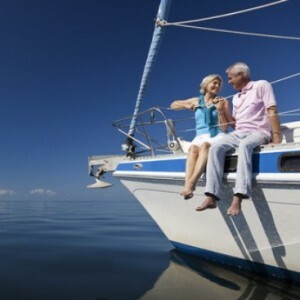 Beyond that is what you really need to enable you to meet the retirement goals you have. Starting when you are younger and setting aside at least 10% of your salary every year in savings should get you to were you want to be when you are ready to retire. Of course if you have lofty goals in mind , you will have to save more. Develop a plan based on your current lifestyle and spending habits. Calculate how much money you will need to save based on the year you will retire and the expected life span. Assume a conservative interest rate as well which will force you to save a bit more. With these basic tools you and plans you should find yourself in a good position come retirement. Follow the basic rules of : diversify your investments, never put all of your investments in one basket, if it sounds too good to be true , then it probably is, and try not to chase speculative investments, invest for the long term. This is probably the easiest for many people. All you need to do is exercise the body as well as the mind to stay sharp and enable you to enjoy all of the things that life has to offer well into your old age. Too much of a good thing is also bad, so 3 days of exercise during the week for 30 minutes each time is probably sufficient for most people. Overdoing it, as in seven days a week marathon running for example is probably going to wear out your joints well before you normally would. Who wants to go through knee or hip operations with the associated immobility? Swimming is an excellent low impact exercise and is great for sore knees and hips. Even if you are not a good swimmer, just getting out and being active in the pool is a great exercise. Consider some of the swim gym classes as well were you exercise in the water. You also need to challenge the mind and keep it sharp. Working will help with this as long as your job requires some thought. Experts indicate that doing crossword puzzles, playing games, working on various projects will also help to keep the mind sharp. How about doing math to keep your mathematical skills high. You can impress the kids at the store by adding up your costs before they can punch it into the cash register. Did you ever notice that when the cash register is not working, most have no idea how to add! If you catch yourself becoming a couch potato, you are probably headed in the wrong direction. One friend of mind, when asked what he was doing in retirement, he answered by saying he gets up in the morning, has his coffee, reads the paper and watches the grass grow! This is an indicator of someone who has no outside interests and is bored. Needless to say his friends were appalled. Fortunately for him, he was able to land some small contracts which will keep him going for a while, however he really needs to fine something interesting and challenging to occupy his time. It really does not matter what it is. Go back to work, take up some hobbies, volunteer, travel, do something. The only important criteria is to make sure that you look forward to getting up in the morning to tackle what you have planned for the day. Of course if travel is on your list, you also need to be able to afford it as well. Don’t wait start planning for your retirement when you are young and you will be sure to have a very successful enjoyable retirement lifestyle! Comments are welcome! 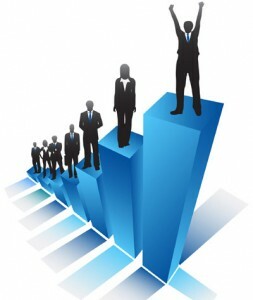 This entry was posted in Retirement and tagged 10% Savings Plan, Investment Diversification on 2011/02/21 by ernie. I read an article recently called early retirement secrets. Which gave the following short list of things to do if you wanted to make sure that you would be able to retire early. After reviewing this list, Ithought that it was ok, but a little academic. I have gone through some of what they discussed and identified. I have my own thoughts about this subject and what you need to do to retire early. Every person will have a different experience so it is important to evaluate your own situation and make the decisions that are pertinent to your life style. First I would like to offer some comments about each of these points. It is impossible to visualize what retirement will be like, unless you have some role models to follow and you are in the same circumstances as these role models. Still you are a different person, so do your best at figuring out what you really want to do in retirement and be realistic about it as well. For example, you will probably want to travel, but you cannot travel all of the time. You have health issues to consider and grandchildren as well to think about. List all of the things that you might do in retirement, prioritize and also consider from a budget perspective. Simply do not worry about what the other guy is doing, do what is going to provide you with a happy good quality lifestyle. Competing with the Jones (sorry, this is a really old expression) is just a losing situation. Focus on yourself and your family. Use Reminders and Checklists – it is a good idea to follow up on your investments on a regular basis. You probably would do this as part of your job so why not do the same thing for your personal life. Plan in Bite Size Chunks – planning in stages is also a good thing, especially if you are the type that cannot focus on the big picture. Set milestones, achieve those milestones and then set new ones which will take you to your final objective. Consider Annuities – I am not a big fan of annuities. They are just a way for the insurance companies and banks to make more money off you. Your Going to Have Some Losses – This is very true. During the recession many people lost huge amounts and then recovered these same amounts provided they well invested in good quality stocks, bonds and mutual funds. Non of this speculative stuff and well diversified. Do Not be Too Trusting – Always get several opinions and if it sounds too good to be true then it probably is. Most people should have at least 2 financial advisers and they should ask the same questions of both to see what kind of answers they give. All of the above are excellent points, however as I mentioned earlier a bit academic for a lot of people. The reason I say this is many people do not even know how to get started planning for their retirement and end up retiring without a clue about what they are going to do with their time or if they even have enough money to live on! So what should someone do on a practical basis to prepare for retirement? Here are a few ideas which if followed, will get you ready for retirement. They worked for me. Save 10% of your salary every year – Save it and do not touch this money regardless of your needs. Get used to living on 90% and invest this money conservatively with some diversity so that you can manage the ups and downs of the markets. Develop multiple hobbies that will carry into retirement – This is really to help you find a balance between work and personal life, as well as give you something to do when you finally do retire. A neighbor of mine told me the other day that he gets up in the morning and watches the grass grow. He has no hobbies and I feel sorry for him. Work at a job you enjoy – This is a must, because if you like the job, you will do a good job at it and excel. Less chance of being laid off and you will be much happier as well which leads to a healthy lifestyle. For some people this is really too risky. However for others working part time or on full time short term contracts is the best of all worlds. A short term contract gives you some extra money in addition to your retirement income. It keeps your hand in the business. It allows you to meet more people and challenges you as well which keeps the brain sharp. I like short term contracts since this allows us to travel. We can do some of the things a short vacation would not allow. Let’s face it in today’s world, you’re going to lose your job someday when you least expect it. You may have a boss who does not like you, your company may get into financial trouble or you just fed up and quit. A rainy day fund, separate from your retirement fund, will tide you over until you find something else and take the pressure off as well. Always take A Vacation – This appears to be a small thing, but it is important to always take that vacation. If nothing else you will learn what you need to do to keep yourself occupied when you retire. I know guys who cannot wait to get back to work after their vacation because they are bored. This is the wrong approach. Use this time to train for retirement! Exercise – both the body and the brain to stay fit and healthy. Hope fully these tidbits will help someone. If you have comments, please leave them as long as they will help our readers. This entry was posted in Retirement and tagged 10% Savings Plan on 2010/11/21 by ernie. What are extreme savers? Every once and awhile you run across people who really seem to have their act together when it comes to saving money, while others just seem to squander it and are always running short. These people could be called extreme savers or perhaps they just make efficient use of their money. We know of people with two incomes, who never seem to have any savings. Yet they freely spend their money on new cars, dinner out all of the time and lots of material things. They seem to have a lot, they throw out a lot of stuff and seem to be really enjoying life. Try talking to them about retirement and the answer is that they cannot even consider retirement until they are 65 at least. Sometimes they even run short of cash before pay day. While the extreme savers are looking at retiring at 50 or 55 at the latest. Remember the freedom 55 advertisements. We do not see much of that any more after the severe recession we have just been through, yet there are people who can and do afford to retire early and have done so on their own without any outside help or huge inheritance’s. Just how do they manage to accomplish such a feat, while raising a family, buying a car, a house and all of the other things that go along with living the life style of an affluent person in North America. It seems that the basic philosophy is to pay cash for everything and not to purchase anything until you have saved sufficient funds to pay for what you wish to purchase. Can it be that simple? Most people today carry multiple credit cards, they have a loan for their car and a mortgage on their home. if they are lucky that is all they have, yet they pay thousands of dollars in interest on these items, while an extreme saver manages to save all of this interest by paying cash for everything. With all of this extra money, not only do things they want to buy cost less, they can save even more money. A few examples will easily demonstrate what a difference it makes. Lets assume that you have a car loan. The bank or loan company is usually obligated to tell you by law, how much you pay in interest over the life of the car loan. For most situations at current interest rates this can amount to several thousand dollars which you tack onto the price of the car. For a car valued at $35 thousand with a loan over 4 years this extra cost in the form of interest might add up to over four thousand dollars. Imagine if you had that money and wanted to just save it! Now you are earning interest on the money you saved. It just continues to compound and your savings add up quickly. I recently read an article about a family who had a nice home, two older cars all paid for, they had raised two kids who were now in university and combined they had savings over two million dollars saved for retirement! They were in their early 50’s and had medium level jobs. How did they amass such a fortune? According to them, it was pretty simple. They just lived reasonably, paid cash for everything and only bought things when they needed to. They did without if they did not have the cash to pay for something. Now you might say that they were so frugal that they and their kids were missing out on life, in fact even depriving their children of a normal child hood. Well it could not be further from the truth. Maybe they did not have the latest model cars every year, maybe they did not have the latest electronic gadgets at the same time everyone else did, and maybe they did not go on expensive trips like everyone else in their neighborhoods have done. However they do have two cars, they do go on trips and they do purchase electronic gadgets after the prices have declined. Instead of being early adopters, they are fast followers, buying a flat screen TV for example after the prices have dropped from the thousands to around $500. A perfect example is that you can buy a 3D TV now for several thousand dollars. Wait a year or two and they will be down to around a thousand, more affordable and more features. Hope fully this post has given you some ideas about how to become independently wealthy, become an extreme saver and yet be able to enjoy life and all that is has to offer. Having a nice nest egg or retirement fund, gives you a lot of independence and just maybe you can retire early instead of working until you are 65 or older. 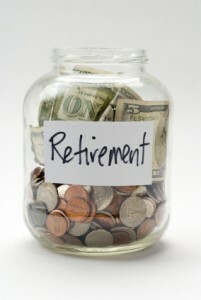 Feel free to add your comments about extreme savers or retiring early. However we delete spam comments, so make sure they are adding some value to this post so that our readers can benefit . Good luck with your savings plans! This entry was posted in Retirement Saving and tagged 10% Savings Plan, Extreme Savers on 2010/08/07 by ernie. Sources of retirement income determine just how much you will have when you retire. Yet half of Canadians expect pensions to be their largest source of retirement income. Many Canadians have no idea how much they will receive from the various pension sources that are available. This includes any pension that they might receive from their employment. 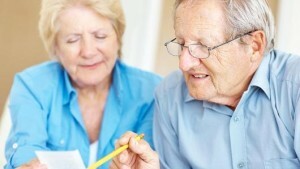 How can a person plan financially for their retirement. Especially if they do not have any idea of what their Sources of retirement income will be when they retire? How do they know much they need to save to give them the life style they wish to have without having this basic level of information? Many Canadians and Americans for that matter believe they will likely need to work well into their retirement years to give them the kind of lifestyle they wish to have. 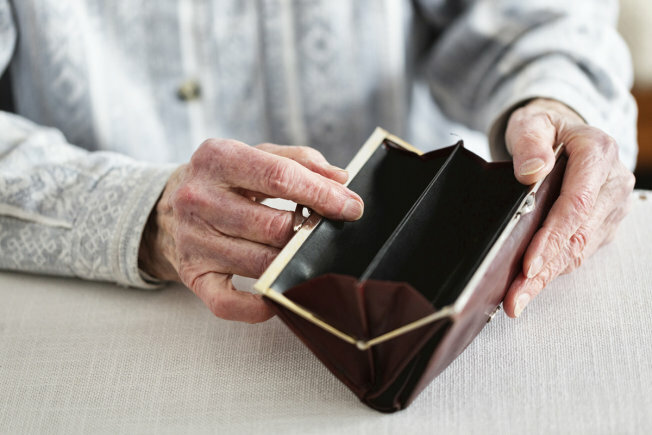 Let’s look at the possible sources of income for a person aged 65 in Canada. Americans reading this post will be able to do their own assessment as well by looking at the pension sources they have in their country. Company Pension plan – the amount you receive will depend on how many years you have paid into the plan and how much you have paid. Early withdrawal prior to 65 will decrease the amount that you will collect from the company plan and also the type of plan the company offers. Old Age pension – this is a fixed amount which all Canadians will collect. However if your income from other sources is higher than a prescribed amount the government will claw back some or all of the OAS pension. RRSP investments- you can contribute to an RRSP until age 69 and then you must convert the RRSP to a RFIFF and start withdrawing money from the plan. You can also withdraw at age 65 as well, however there will be less to withdraw. Other Investments – these are investments you may have outside of your RRSP. These could consist of investment properties, mutual funds, as well as the family home. Part time or full time work after 65 – many Canadians will supplement their income by continuing to work beyond 65. There is the added benefit that this work keeps them involved and active in the community, and challenges their minds with interesting work. Canadians expect part-time or occasional work (26 per cent) and income from their own investments (24 per cent) to be supplementary sources of income during retirement. Thirty per cent of Canadians aged 35-54 expect to be working in retirement, suggesting the concept of a traditional retirement is disappearing. Regardless of your current age, it is important to develop a budget based on the expected income from various sources. This is really the first step to assess if you will have sufficient funds at retirement. It may take some digging to find the estimates for each pension source; however it will be worth it to assist in planning your retirement. Your HR person can assist you with the company pension plan estimates and the government web sites will help with the CPP and OAS pensions. Of course all numbers will be based on the assumption that you work until 65 to maximize your pension income. Usually if you retire early, the pensions will be decreased by some amount to reflect less time for your pension contributions. Having enough money for a comfortable retirement (68 per cent) is the most important consideration in deciding when to retire. However, half of Canadians (53 per cent) who have established financial goals feel they are somewhat short. Or nowhere close to where they think they should be to ensure a comfortable retirement, up from 36 per cent in 2007. The amount of money saved that a person will need at retirement is a very personal number. It depends on the amount of pension income as well as on personal goals, plans and expectations for retirement. On average, retirees have a goal of nearly $270,000 as the amount of money required for a comfortable retirement. This is down from nearly $450,000 in 2007. People not yet retired think they will need nearly two and half times that amount. Or almost $660,000, down from almost $900,000 in 2007. Clearly the recent economic turmoil during 2008 and 2009 has had an especially sobering effect on consumer’s savings objectives. The fluctuation of the investments during this time has scared many people and caused them to rethink their retirement plans. Fortunately if you are invested in conservative solid investments, they are generally returning to the pre-downturn numbers that we were used to. This entry was posted in Retirement and tagged 10% Savings Plan on 2010/07/07 by ernie.